A former West Village guitar shop owner copped to murder Wednesday as part of a plea deal for hacking to death his longtime girlfriend just days after he was released from a Manhattan psych ward. 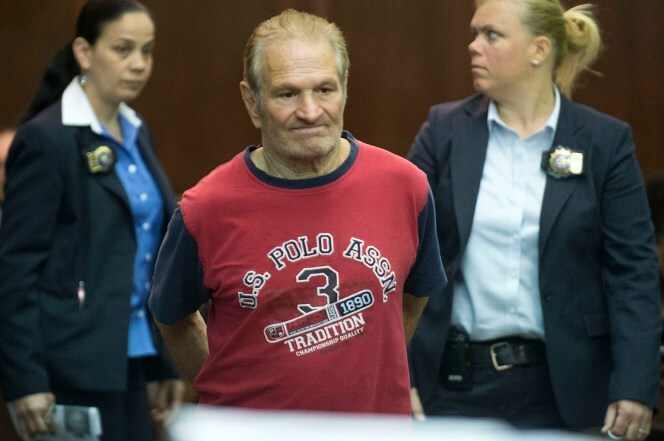 Dennis Guglielmo, 71, admitted in Manhattan Supreme Court to slashing his doting gal pal, Alice Birnbaum, with an ax and knife inside his Downing Street pad May 1​​,​ 2014. Justice Gregory Carro promised him a sentence of 17 years to life in exchange for the guilty plea. The gruesome murder came just days after an unstable Guglielmo had been discharged from Bellevue Hospital​’s psychiatric ward​. “Even though he had been recently released from the hospital, he wanted to take responsibility for his actions, and considering his age, he thought this was an appropriate plea,” said his defense lawyer Adam Freedman. The deranged musician had voluntarily checked himself into the hospital two weeks before the murder, complaining of paranoia and an acute lack of sleep, law enforcement sources said. It was Birnbaum who encouraged staffers to discharge him, sources said. The music lover grew up in the West Village and was a neighborhood fixture who claimed to have hung out with Al Pacino and Robert DeNiro, according to a pal. Had Guglielmo been convicted at trial, he faced as much life behind bars. He’s expected to be sentenced Dec. 23rd.